Jose Mourinho has already made his fondness for Brazilians known to the world. He followed those comments up with the signing of Fred, with Manchester United finally receiving the firm Brazilian presence that they craved. 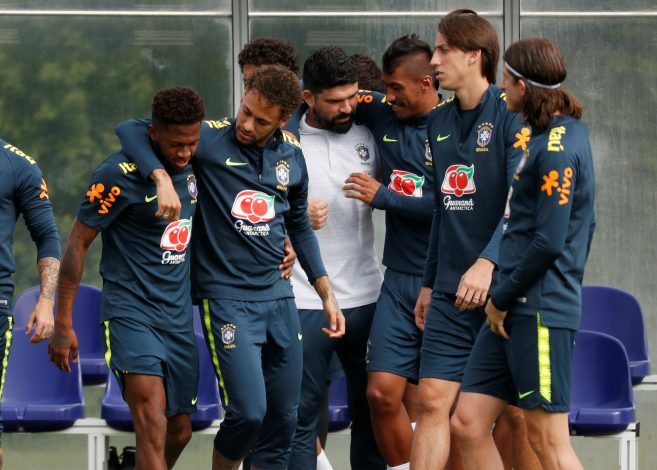 However, the Mancunian giants have been linked with other Brazilians as well in recent months, with United keen on ensuring that their side is capable of landing a Premier League title and make firm strides in Europe. As of such, it is no surprise to see that the side has been linked with yet another upcoming name from South America. As per Spanish outlet Sport, Manchester United have submitted a €40 million offer for Lucas Paquetá. The 21-year-old Brazilian functions as an attacking midfielder for Flamengo in the top tier of his nation’s Serie A. The report adds that his release clause is in the region of a €50 million, and that Flamengo aren’t too eager to drop his asking price. However, they may not have to, as it is also believed that top guns like Barcelona, PSG, Liverpool, and Manchester City all have him on their radars as well, and if a bidding war ensues, the price may not stay that low. If Paqueta is indeed an early target for the winter window, then this saga will be a firm test for the board at Old Trafford, which has reportedly assured Jose Mourinho that a repeat of the summer’s transfer fiascos won’t occur. As of such, the club could have the requisite funds for the purchase readily available. At the same time, there is no clarity on what this will mean for the other names already vying for an attacking spot at United. While his central tendencies will mean that the wide spot may be out of bounds, his age is such that Mourinho won’t hesitate one bit in experimenting him on one of those flanks.